There is a variety of KitchenAid pasta attachments for making pasta with the KitchenAid stand mixer with your own basic pasta recipe. You don't even need to know your mixer model to purchase the attachments that work with your machine to make pasta your family will love, since the attachments fit all KitchenAid Stand Mixers. There is nothing like the taste of homemade pasta, and there are many ways to make it. For instance, you could make it out of spinach, tomatoes, zucchini, pumpkin, beets, or any other of your favorite vegetables. When using the KitchenAid Pasta Attachments, making pasta is so easy a child could do it. In fact, this is a great way to get the kiddo's more involved in cooking. Cooking is an important skill for children and teens, both boys and girls. The following basic pasta recipe can be used to as the base to create your own special pasta recipes, or try one of the other homemade pasta recipes in this page. By making your own pasta, you know it is fresh and healthy! Add flour and eggs to the stand mixer bowl. Using a flat beater on speed 2, mix until the dough combines. Change to the dough hook and mix for 30 seconds to 1 minutes, until the dough forms a ball. Cut the dough ball into fourths. Use the pasta roller attachment set* at the widest setting and roll the dough out. Fold the dough and put it through the pasta roller until the dough is smooth. Change the pasta roller for the pasta cutter. Set the cutter for the pasta size you want and put the sheet of dough through it. When cooking the pasta, be careful not to overcook. It will only need to cook 3 to 4 minutes. Serve with the pasta sauce of your choice! * If you don't have a pasta attachment, roll out very thin, then cut into narrow slices. Cook as above. Whether you prefer spaghetti, lasagna, ravioli, or fettucini, this pasta attachment pack is just what you need. First, make your own fresh pasta dough sheets. Next run the dough sheets through the cutter of your choice to make your favorite pasta. Or, use the ravioli maker to make cheese, spinach or meat filled ravioli. These attachments fit any KitchenAid Stand Mixer. Included brushes make clean up a breeze. The attachments have a 1 year replacement warranty through KitchenAid. You won't have to wonder where your family is when you serve fresh, homemade pasta you make using the pasta set attachment pack! Do you make homemade pasta? 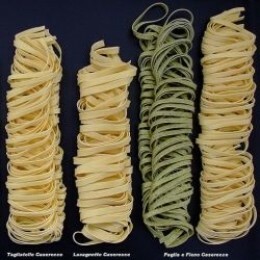 Do you have a pasta attachment set, or do you make it by hand?